You have to pinpoint what is CAUSING reading difficulty before you can fix it. Many of the brightest children do often show patterns like guessing or skipping words, and they need a solution targeted specifically for their symptoms. 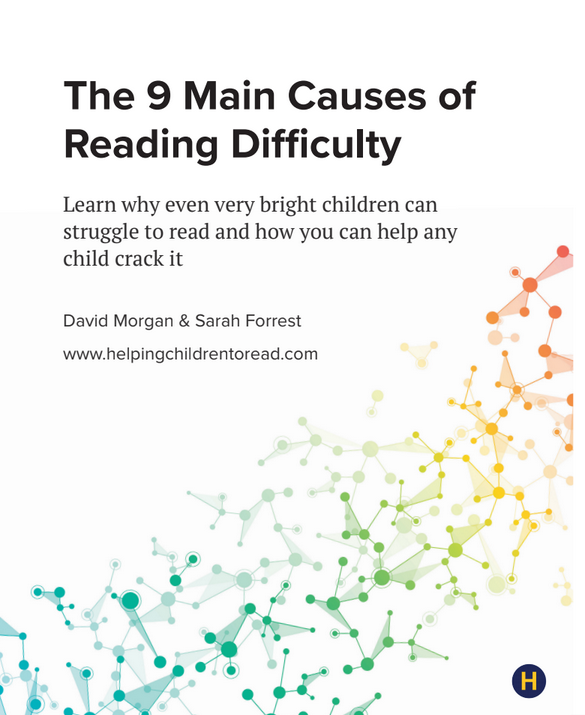 We have taught thousands of children to read with trainertext visual phonics and have mapped 9 main causes of difficulty over the last 20 years. Virtually every child who comes to us fits into 1 or more of these categories. Our short Amazon bestseller covers the actual causes of reading difficulty (like whole word sight-reading, eye-tracking issues, weak working memory, and more) – all for the cost of a couple Starbucks coffees! You will discover how each cause is triggered in the brain, how to identify it, and how to fix it. Helpful symptom lists, free resources, and worksheet examples are included. What are the 9 causes? Does your child decode short words okay, but really struggle with long words? Read more. Around 30% of the children we help show signs of this. Learn more. Sometimes turning sounds into words is very hard for a child. Learn more. Reading practice can often turn into a battle and then nothing gets learned. Learn more. Want to learn about the other 4 causes? Check out the book!